Las Vegas seems to have a love-hate relationship with chains. While locals profess a love of unique home-grown restaurants and shops, the location of national chains has been widely viewed as a benchmark of the city’s maturity and place on the national stage. The era of being without Ikea, Chick-Fil-A or Cracker Barrel is ending. Only a professional sports team remains on the checklist of must-have urban attributes. And that may be near. 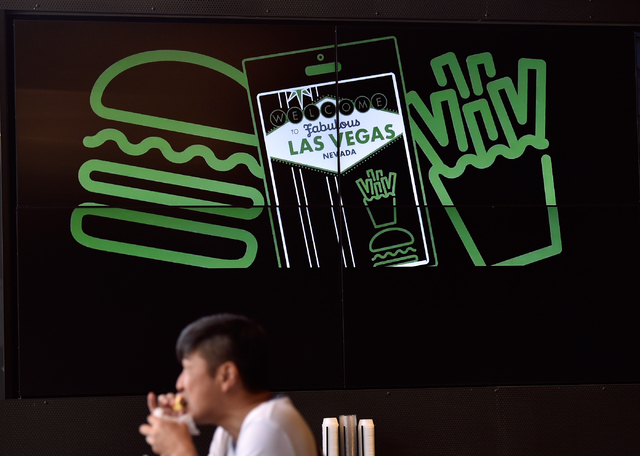 This decade Las Vegas has served as a beacon for national restaurant and retail chains that wanted to expand into the fast-growing market that has national visibility. The additions of these brands has brought Las Vegas up to speed with many larger metropolitan areas across the country, as popular West Coast brands like Round Table Pizza and national retail giants like Crate n Barrel have brought further legitimacy to the market. It is a competitive landscape for brands and for the people who work at restaurants. The wait staff, for example, is often lured by the promise of fast action, big sales and big tips. The deep job market makes it even harder for these new brands to retain employees if the restaurant does not get off to a fast start. 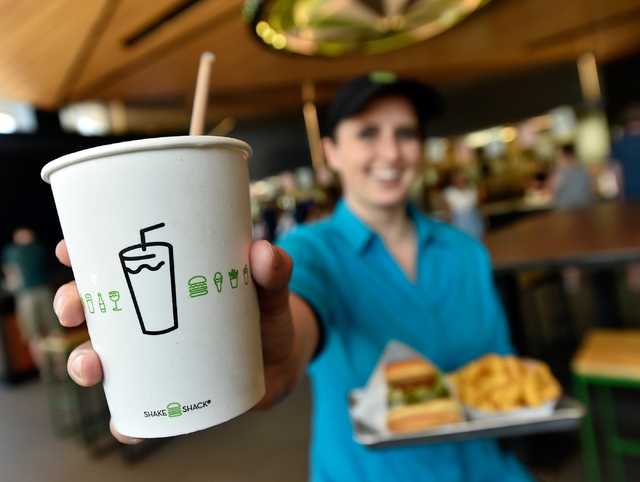 National restaurant chains coming to Las Vegas need to look no further than to Shake Shack for a model of a brand that hit the ground running to exceed expectations. 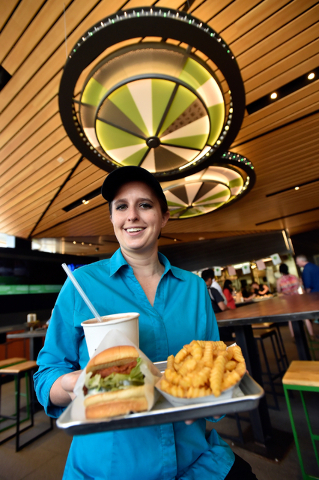 In late December 2014, Shake Shack opened its doors on the Las Vegas Strip, bringing the famous ShackBurger and large expectations to its first location at MGM’s New York-New York hotel. 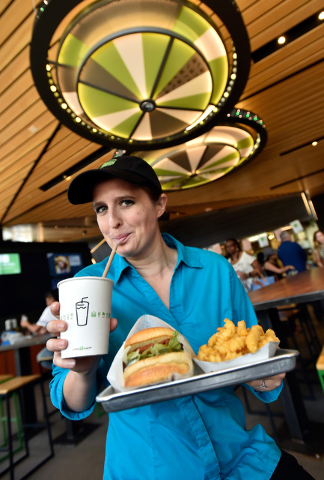 As the first Shake Shack on the West Coast, the restaurant reflects the Las Vegas ‘over-the-top’ attitude while staying true to the brand’s New York City roots. 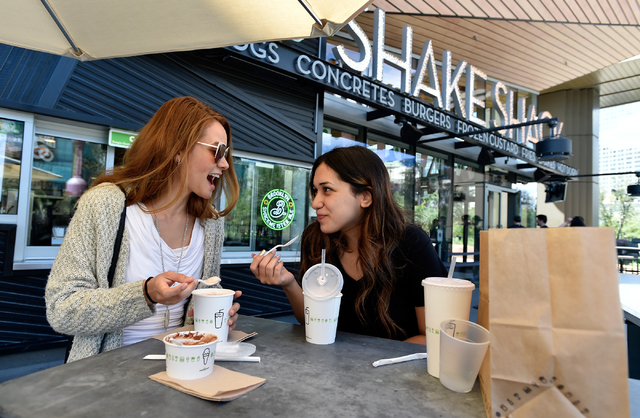 In October, Shake Shack opened its second Las Vegas location in downtown Summerlin, and even featured new frozen custard menu items for the locals: the Summerlin S’more, Red Velvet Rocks and Desert Crunch-stellation. Five percent of sales from Red Velvet Rocks are donated to the Communities in School program. 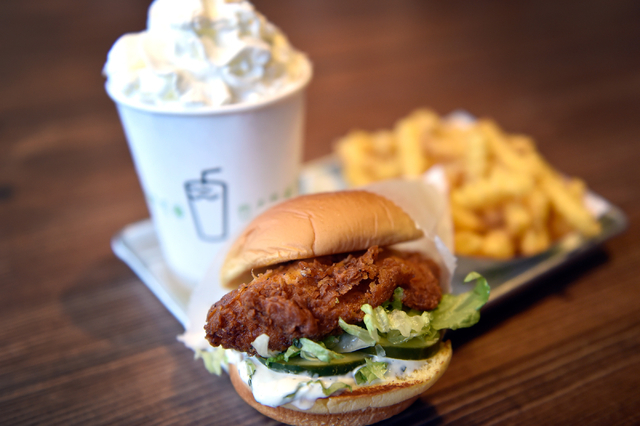 “It is an interesting market for us because we have two Shacks that tap into two vastly different demographics and they both have performed beyond our wildest expectations,” says Zach Koff, senior vice president of operations for Shake Shack, which also just debuted their first-ever Shake Shack slot machine and blackjack table at New York-New York. 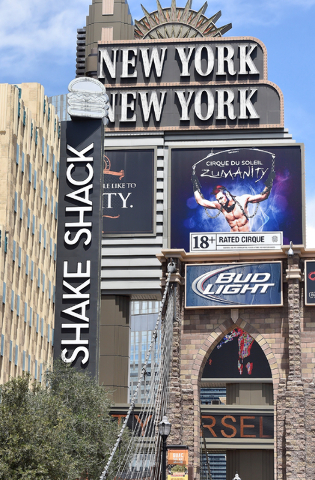 Teaming up with the surrounding Las Vegas community seems to be a requirement for success for national restaurant and retail brands entering the market for the first time. 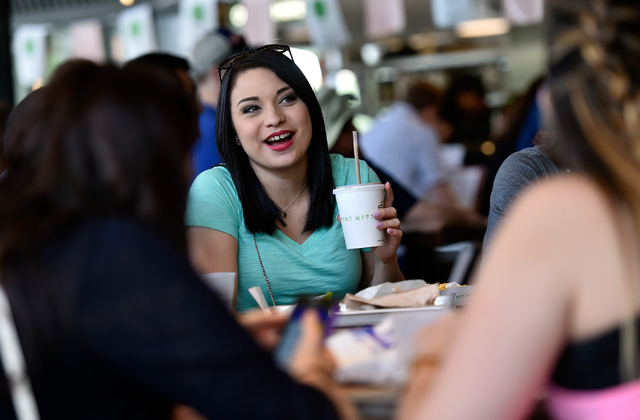 The New York-New York Shake Shack works with the Children’s Heart Foundation. This allows employees to feel an even deeper loyalty to their brand. Carmine’s opened its first restaurant west of the Mississippi River in the Forum Shoppes at Caesars Palace in 2013. To find success in the Las Vegas market, the restaurant focused almost exclusively on group business and have made the corresponding changes in their menu. Making menu and operations modifications for long-term success in the Las Vegas market is common with national chains. “Carmine’s has been extremely successful in Las Vegas because we focus on large groups with gigantic portions served family style so we can serve corporate groups, families, bachelor and bachelorette parties, weddings and more,” says Jeffrey Bank, chief executive officer of the Alicart Restaurant Group, parent company of Carmine’s. Carmine’s was established in New York City in 1990, so their loyal guests from their locations in New York City, Atlantic City and the Bahamas are excited to see the brand’s expansion to Las Vegas when they come to Caesars Palace. Carmine’s hasn’t let the vastly different Las Vegas backdrop change what has been successful in operations. Before opening the Las Vegas location, the Las Vegas management team went to New York for onsite training to implement many of the same systems that have been successful in all their restaurants. One large national restaurant chain that has not made its way to Las Vegas yet is Culver’s, a Wisconsin-based hamburger chain that has seen rapid expansion this decade. That expansion has been tied to a loyal Midwest customer base that has relocated throughout the United States. 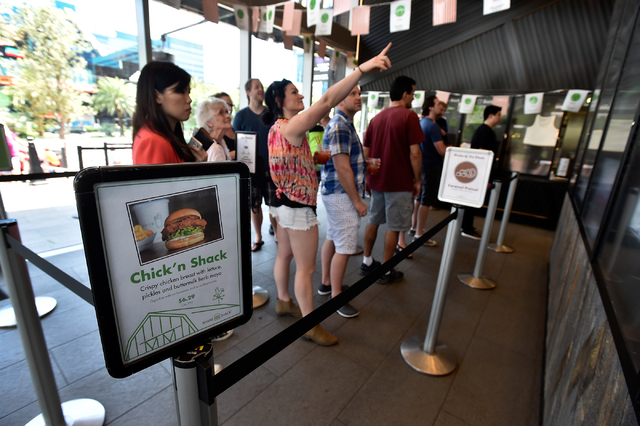 While there was no was no sign of Culver’s in the region a decade ago, there are now several spread throughout the Phoenix metropolitan area. There are now over 50 Culver’s restaurants in 24 states. However, the rapid expansion of Culver’s won’t be coming to Las Vegas any time soon. The Las Vegas region marks a completely new distribution center for Culver’s, meaning they need to have several franchisees interested in starting restaurants before they can add Las Vegas to its map of restaurant locations. Culver’s still has not entered the New Mexico market either. 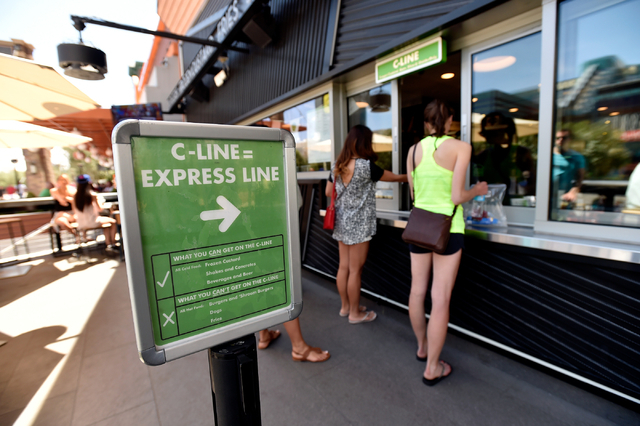 The experience of large restaurant and retail brands coming to Las Vegas will also continue to mean more exposure in suburbs like Henderson and Summerlin, as well as the Strip. These are the areas that have the most potential and room for brand growth in coming years.